This is an old story in a new and brutalised setting – a futuristic Glasgow in the grip of ‘The Emergency’, war-torn, derelict, impoverished. Molly and John are evacuated by their parents to diametrically opposed fates – he to a vicious farmer who beats and starves him and she to Pernilla: childless, needy and endlessly indulgent. Forde describes with great skill how Molly’s head is turned by luxury and the fragile security which material possessions appear to bring, so that she rejects the sound values of her shabby home for the comfort and superficial glamour of her new existence. Years of the uncertainty and tension which conflict brings have eroded her resistance and undermined the practical moral code which her very ordinary but devoted parents have instilled in her. She ignores John’s sufferings and mocks her mother’s appearance and insistence on family values. Finally, when Pernilla wants to possess her completely by adopting her, she returns to the fold of her family and the things they hold dear. She is profoundly changed by her experience – both ashamed and empowered. John, too, has changed and opts for the military life he sought to avoid. 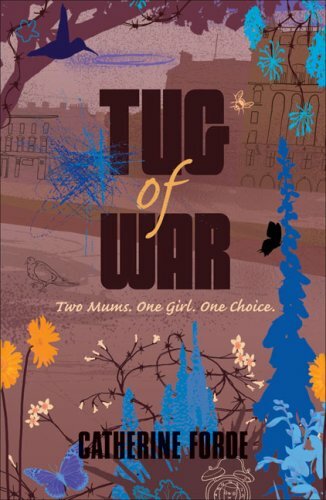 This is a raw and perceptive story, its emotional truths focused by the backdrop of a future war which, through its similarities with past conflicts, reminds us that unlike Molly and John, we have learned very little.